The official launch of the magazine in English, Journey Around Lake Biwa, was announced by Japanese Publisher, Zipangu Bridge. The first issue went on sale at Magzter on October 10th. You can read issues of the magazine on mobile devices through the Apple, Google Play, Kindle Fire, Nook, and the Amazon App Store as well as the magazine’s website. Journey Around Lake Biwa is a new photo magazine that not only provides readers information on sightseeing spots, but also explains the Japanese culture found in those locations, thus increasing the excitement of traveling. It is said that Shiga Prefecture (The area around Lake Biwa) is the site of origin of Japanese culture. The water culture of Lake Biwa has cultivated the traditional lifestyle that coexists with nature, and the historical heritage is still present there today. Travel around Lake Biwa to learn Japanese history and culture, broaden your horizons, and acquire soft Japanese thinking. Through this journey, the mind will be healed. The first half of Volume 1 will explore Sakamoto, a town near Mt. Hiei in Shiga Prefecture. Related articles cover the original method of masonry and the monks' dwellings that exhibit Japanese gardens. Also, this magazine introduces the nearby shrines and temples that have had such a great influence in Japanese culture, such as the Hiyoshitaisha Shrine and the Hieizan Enryakuji Temple. 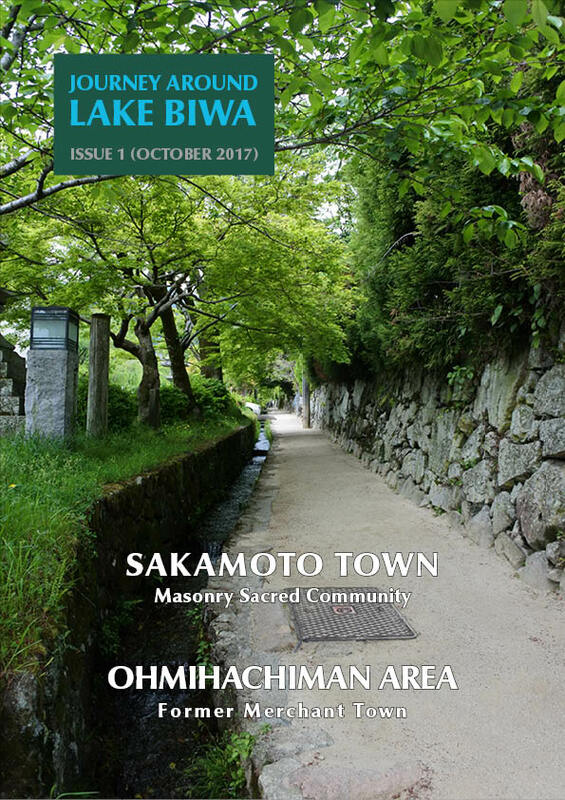 In the second half of this issue, we focus on the historical buildings and sightseeing spots of Ohmihachiman, which has a rich history with Ohmi merchants.